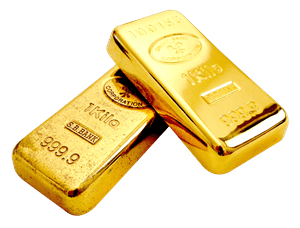 Gold is a very popular asset to trade as a CFD, in this article, we are going to take a look at how you can trade gold, and what brokers you can use. Gold has been one of the most sought-after commodities for thousands of years. This metal has been used as a means of payment across the globe and it still represents success and wealth. The material is perfectly suited for both jewelry and ornaments but also for electric cables, especially in sound and image cables. The usage of gold is widespread and the interest for this precious metal is bigger than ever. Based on this, it doesn’t come as a surprise that gold is one of the most traded commodities on this planet. In fact, chances are that you ended up on this page because you’re looking to invest in gold. So how do you invest in gold? What do you need to know before you start buying gold? We will answer that and much more on this page. Many people prefer to buy gold as CFDs. A CFD is a sales contract that’s written between you and the seller, in this case, a broker offering underlying assets. In this particular example, the CFD represents the price of gold. The idea is for you to predict whether the price will increase or decrease and then buy a CFD that represents that prediction. Below you can find brokers who offers GOLD CFDs. One of the reasons why CFDs have gotten so popular lately is that you can trade in bullish and bearish conditions. Additionally, CFDs are available on more instruments than gold, and that creates opportunities to trade on several markets at the same time. Would you like to trade gold as a CFD? Then you’ve come to the right place. CFDs are our favorite way of investing in gold and other assets and is something we’ve done for years. 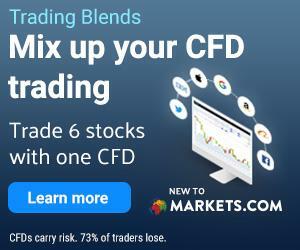 Because of this, we’ve dedicated a whole section of this BullMarketz.com to CFD and commodities trading where you can learn all you need before you start trading. As an investor, keeping track of the price of gold is necessary for obvious reasons. Without an accurate price, it will be impossible to trade since you won’t know when to sell or buy more. The same goes for all investments which is the reason we have a collaboration with the CFD broker Plus500 that provides us with price graphs for gold and other assets. This means that you can get the latest price for gold directly on this page. This page only contains information about the value of gold and if you want data on other instruments, we suggest you check out those specific pages. The traditional way of investing in gold is by buying a product made from gold and then selling it in the future if needed. It is very rare for gold to decrease much in value and therefore the metal is considered a “safe investment.” For example, many people buy gold as jewelry or decoration to make themselves and their home more beautiful. However, the products also function as insurance in case the person would need money in the future. Professional traders also tend to invest in gold when the stock market is falling in order to protect their capital. You can also buy gold in bars – big blocks made entirely out of gold – which are usually stored in safes or banks. This type of investment is best suited for long-term goals and is not something day traders do. A more popular option is to trade gold with futures contracts using stockbrokers. Just don’t forget that BullMarketz is about day trading and that you’re probably here to learn how to trade gold at a faster pace. Luckily, there are several ways to do so and we’ll tell you more about the best ways of buying gold online. CFD trading can be used to buy gold on the internet and below is a list of the best brokers in the industry today. Learn more about analyzing the market, market conditions, trading techniques, and more by clicking the provided links. If you want to start trading today, we suggest you study CFD trading as much as you can before opening an account with a broker. To find the best brokers to trade CFDs with you can read our review of Plus500, or detailed guide to Markets.com, or check out our review of eToro.